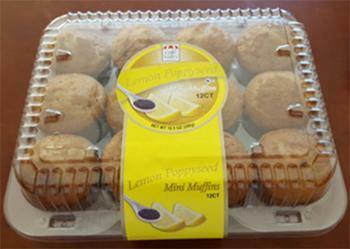 Café Valley of Marion, Ind., is recalling 543 cases of banana nut mini muffins labeled as lemon poppy seed mini muffins. The product may contain walnuts, an allergen not declared on the label. The recalled product, with the date code 160803 ink jet printed on top near the label, was shipped to wholesale distributors in Kansas, Mississippi, Tennessee, Missouri, Ohio, Massachusetts, Vermont, Alabama and Illinois. Consumers with questions may contact customer service at 623-866-7383 Monday through Friday from 7:30am-4:30pm.